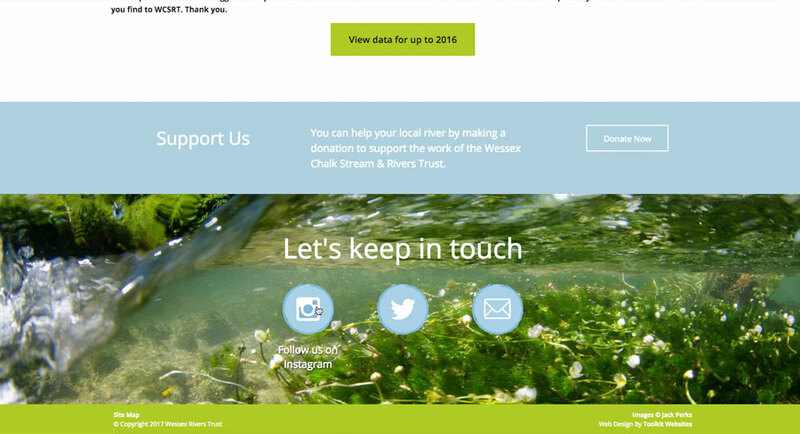 This week's website of the week goes to Wessex Chalk Stream & Rivers Trust . 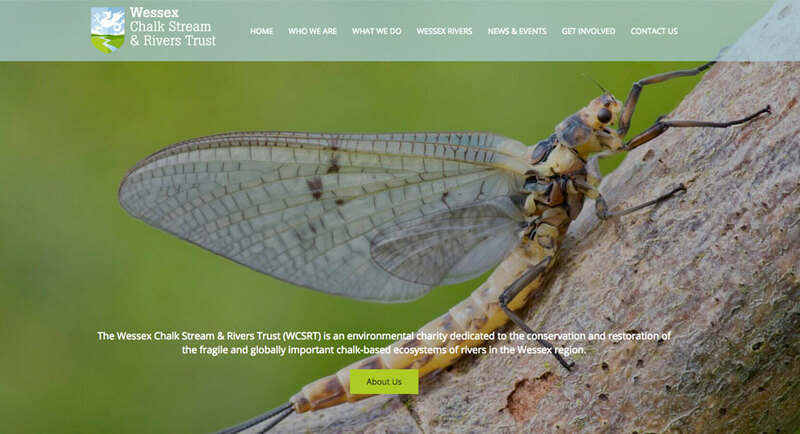 WCSRT is an environmental charity formed in 2010 to protect the fragile and globally important chalk-based ecosystems of rivers in the Wessex region. 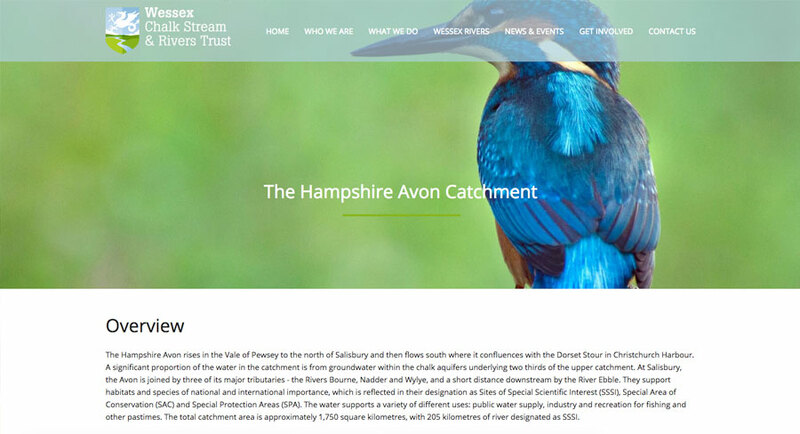 The website features a blue and green colour scheme using the colours from the clients logo. The use of blue and white panels on the pages help to give the website a clean and modern layout. The website has clear navigation to the internal pages via the menu bar and drop down menu items. 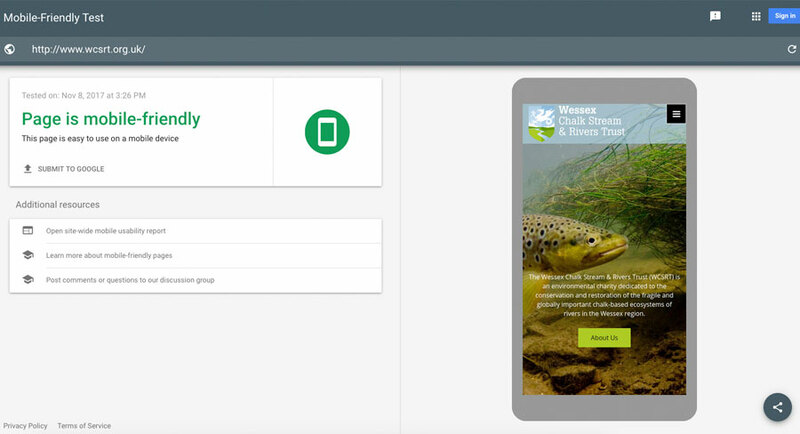 It also features a slide show header on the homepage, active social media icons, downloadable PDF documents and more. This website features strong imagery and parallax image panels to give the website a bit of movement. Each image is consistent in style and has a different header image for each section of the website.